Its been a little while, but I am back with an ACE competition with Ace Tea London! 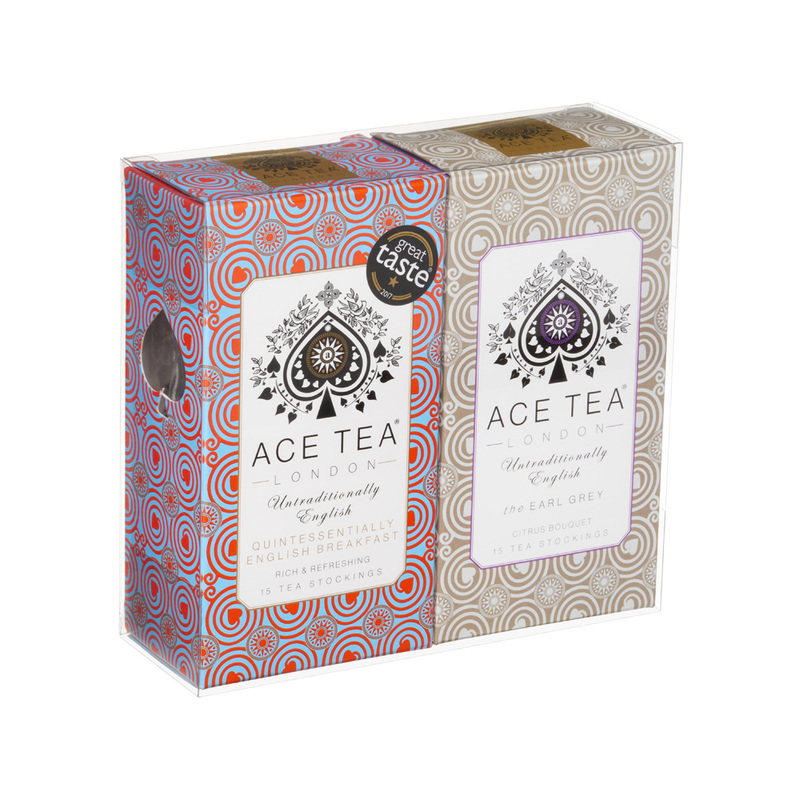 Ace Tea London launched in the Autumn of 2016 to revolutionise tea drinking with a bold range of flavours that can be enjoyed hot, chilled or in cocktails. Exceptional blends in unusual expressions include their ‘Great Taste Award’ winning Hot Ginger Green Tea, Lady Rose and Quintessentially English Breakfast have been crafted to create an extraordinary tea drinking experience. All of the teas in their range contain either black or green tea and are 100% natural. Each tea is enrobed in a specially crafted tea stocking that houses big leaf tea for exceptional flavour and come in highly striking tea cartons. I am delighted that Ace Tea London have given me three duo packs of tea to giveaway! There is 1 set for twitter, 1 set for instagram and 1 set for facebook! So, how do you enter the Ace Tea London Competition? The Facebook winner will be chosen at random from someone who likes mine & Ace Tea London‘s Facebook pages and answers the competition question on my Facebook page. The instagram winner will be chosen at random from someone who follows me @SuzyPelta and @acetealondon on instagram and who has answered the competition question in the comments. The twitter winner will be chosen at random from someone who follows me @SuzyPelta and @AceTeaLondon on twitter and who has retweeted the competition information. There are no limits to the amount of twitter retweets and each twitter retweet counts as a new entry into the competition. However if you are not following @SuzyPelta AND @AceTeaLondon your retweets will not count. – The competition starts at 12.26pm on 14th November 2018. – The competition closes at 9pm on 20th November 2018. – The competition is only open to UK entrants. – The winners can not transfer the prize and there is no cash alternative. – The prizes will be delivered by the end of December 2018.